The Loft Seaside Suites | Hotel.com.tw-Provides brief hotel introduction, guest rooms, facilities, location information, mobile booking, and online booking service. 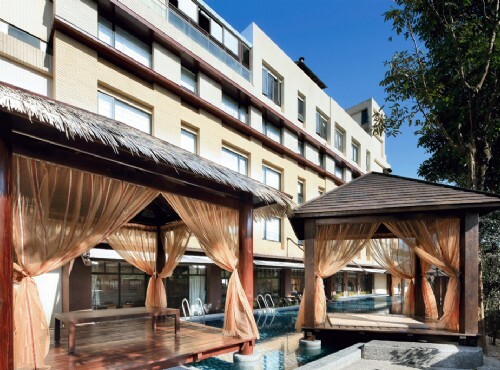 Located in Wanli district of New Taipei City, The Loft Seaside Suite Taipei is set at the edge of the north coast adjacent to the East China Sea. 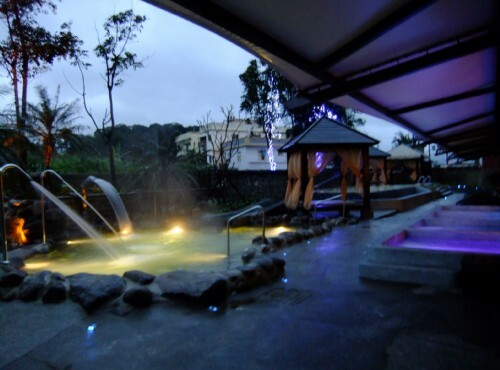 With a strategically chosen location, this hotel is a nice start point to explore the North Coast of Taiwan. Jinshan (5.2 km/12 mins drive away from the hotel) is well-known for its scenic cape, beautiful beaches and appealing hot springs. In addition, the famous Jinshan Old Street, also known as Jinbaoli street, is only 1 km/15 minutes walk away where guests may find a lot of local produce and delicacies while appreciating the relics and historical ambiance retained from Qing Dynasty when you roaming down the street. Moreover, the north coast possesses many surreal geological sights and curiosities, including Yeliou Geopark, Lionh’s Head Mountain Scenic Area and Huanggnag Fishing Port are all within short ride for you to enjoy a blissful and unforgettable Taipei travel. As the North Coast is one of the popular tourist destinations, there are several buses that bound for Jinshan area from Taipei, Banciao, Danshui and Keelung. 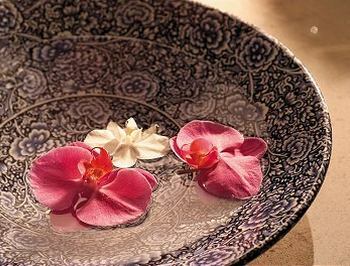 Encompasses both Japanese design and modern style for you to enjoy a special hot spring experience. The Loft Seaside Suite Taipei is a hot spring resort features 50 cozy suites in western or Japanese style suitable for your different needs. 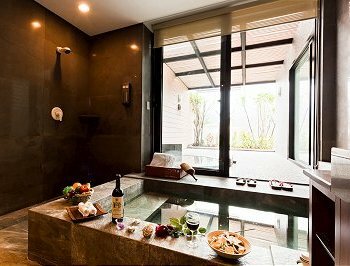 All rooms are comfortably designed with friendly amenities, as well as the high-quality hot spring bathtub in room for those whom seek for relaxation and privacy at the same time. Each room is tastefully designed and decorated with carefully chosen artworks, also fitted with air-conditioning, bathrobes (on request), cable TV, movie channels, high-speed broadband internet access, wireless internet access, city/mountain view, mini-bar, newspaper, hairdryer, toiletries and many other pampering details that will offer you a memorable stay. For your extra ease and pleasure, number of meeting/conference rooms for you to complete your business needs with great ease, free parking (limited space) for guest to save the trouble for finding a parking space, public hot spring area and individual hot spring bathhouse offering an intimate hot spring environment, the tour desk that provides tour/ticket assistance and the hotel’s restaurant serves authentic Japanese delicacies for you to enjoy a refined dining experience. 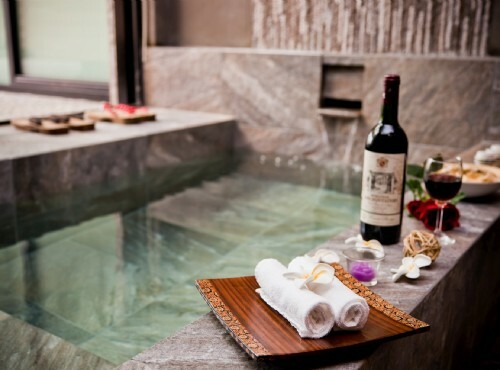 Elegantly designed with contemporary setting, The Loft Seaside Suite Taipei is a nice getaway among Taipei hotels for you to rejuvenate and wash off all the stress and tiredness. 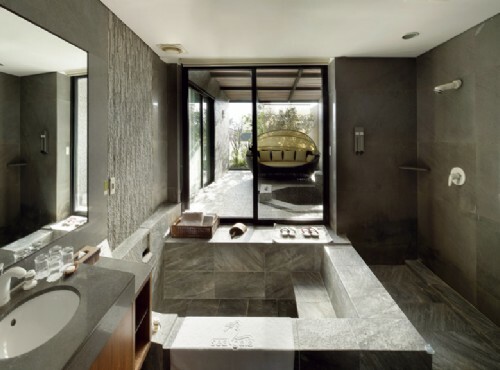 The Loft Seaside Suite Taipei is gracefully set in the Jinshan/Wanli Hot Spring area of New Taipei City with mountains at its back and the ocean at the front. One of hot spring water in this area is seabed hot springs which can be discovered in only a few places in the world. 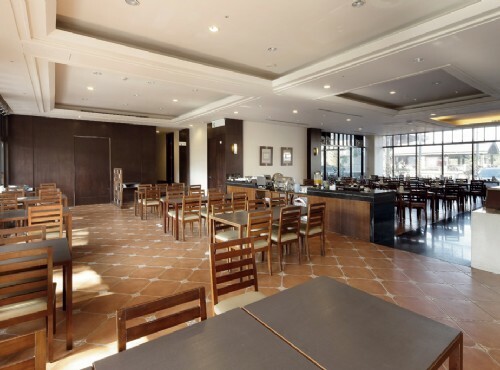 With the nice scenic view, the special geologic landscape, and the abundant natural resources in the surrounding area, the hotel is the best point to start your tour in the North Coast of Taiwan. Yeliou Geopark, Lionh’s Head Mountain Scenic Area, Huanggnag Fishing Port and Jinshan Old Street are just within a short ride. 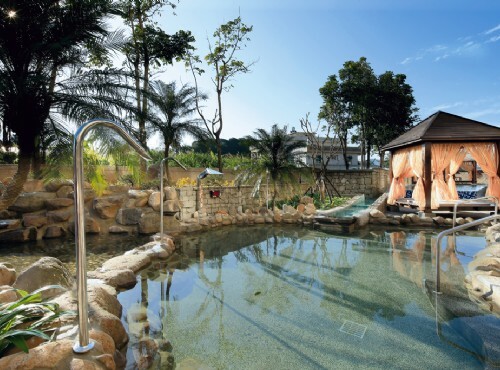 Moreover, the luxury accommodation environment, thoughtful amenities and meticulous services will ensure you nice and pleasant stay for your Taiwan travel. Through our online reservation, you can reserve your accommodation at The Loft Seaside Suite Taipei safe and secure.